Huzzah! The continuing exploits of the Boston Red Sox base-ball club! The week-end's tilts were fraught with suspense. To be sure, not a moustache in New England was left dry by nights' ends, and pints of Duffy's littered the gutters from Fall River to Fort Kent. When the dust settled and Monday broke like a damp fevering, it was the Heroes of the Fens ahead of Gotham's high-priced dilettantes by one match on the season. A narrow margin, but a favorable margin none-the-less! But so peculiar is the work that does his turning: The Red Stockings are laying waste to those Nordic Minnesotans -- with their aw-shucks demeanors, farm-bred musculatures and Lutheran work ethics -- while the Gothams are experiencing fissures in even their most stout ramparts. To wit: Crafty veteran Mariano "El Fruitbat" Rivera, King of the K, Master of the Cutter, appears to be losing his campaign against Father Time, El Padre de los Niños y la Felicidad. I, for one, say a hearty Huzzah to the fine work of El Padre, and His own crafty veteran abilities. But this is not the time for gloating: Instead, let us cheer the Heroes of Olde Towne and embrace the two-dozen-plus-one that wear the Boston Flannel day in and day out. May the season continue apace! Base Ball Returns -- Not a Moment Too Soon! Rooters, cease chewing your mustaches and grab your megaphones, drums and cornets! Base Ball contests resume to-night, with the Bostons meeting the "Rays" of Tampa. Suffering through the annual mid-season pause routinely brings the otherwise fit to the brink of nervous exhaustion. How else to explain the tale of this poor gent, which I picked up from the news wires. Surely a man in his right mind would never complain about a banquet of sausages! CHICAGO — Linked sausage, long drawn out, served for breakfast, dinner, supper and between meals, drove Charles Jensen from his home at 3629 Harper avenue. It got on his nerves. Liverwurst, German sausage, schnapps and bologna is poor diet for a steamfitter who earns $35 a week and wants steak once in a while. It's bad for the nerves. Charles told Municipal Judge Torrlson in the court of domestic relations the other day that he had run away from sausage, his wife and six children. "She gave me bologna for breakfast, llverwurst for dinner and German sausage for supper," he said "Once in a while she changed the diet with frankfurters and schnapps. I want steak once in a while. "Honest, judge, it got so bad that every time I heard a dog bark I could smell dinner cooking. I can't work on a delicatessen diet of sausage all the time. I earn $35 a week and want steak." "It isn't sausage. It's another woman," declared Mrs. Jensen. "He ran away from me four months ago and went to another woman somewhere on the Pacific coast. He liked sausage all right until he got 'moony' over the other woman. Sausage may not be good for married men who love other women." "Sausage or woman — It doesn't matter," said Judge Torrison. It's just a plain case of nerves. You've looked at each other so long across plates of weinerwurst that you've got on each other's nerves. Cut out the sausage once in a while and you will get along all right. Better read a book on the control of the nerves." Judge Torrison ordered Jensen to pay his wife $12 a week. Loyal readers may recall my chagrin at the arrival of the annual Four-Ply-Drive Derby. My opinion has not changed on this sweltering July evening, even tho’ our home-town hero "The Colossus" captained the American League squad chosen to whange away at the dew drops delivered by their hand-picked hurling partners. No, I would prefer to get this mid-season pause behind us “toot sweet,” as the vaudeville joke-slingers say. 30,000 perplexed Rooters rushed home from Fenway Park yester-day evening to check the date on their wall calendars. Did we not, as a nation, just complete our Independence Day celebrations, or was Father Time somehow turned about to revisit the Festival of the 4th? Their bafflement was understandable, given the pyrotechnic spectacle performed by the Boston bats-men: A sextet of screamers! Hapless Oriole hurlers held the Bostons’ clouting prowess much too cheaply, as evidenced by the repeated launching of the sphere into the July night sky. Hub-area reflexologists will undoubtedly be overwhelmed to-day with patients seeking relief from the crick-necks developed after watching six pills arc over the stadium fences! 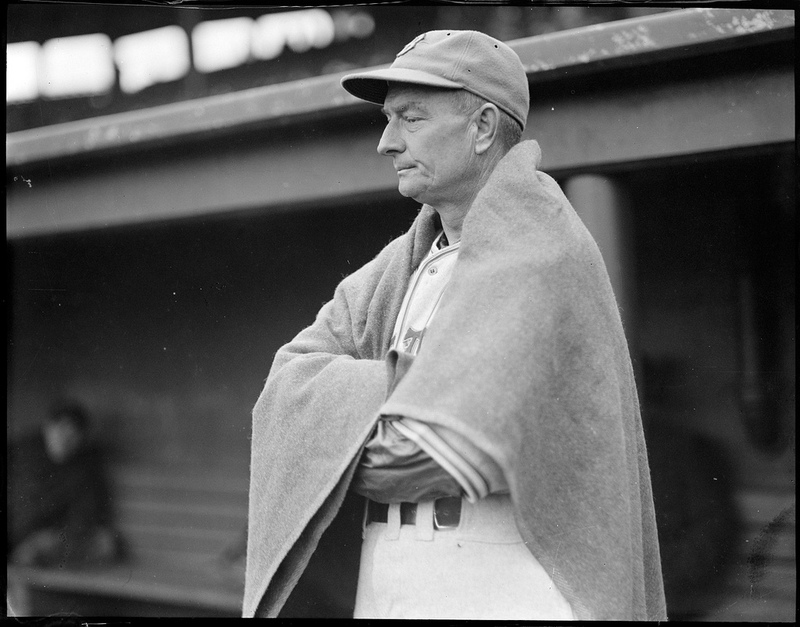 Yet no Rooter will complain for his discomfort, as the offensive explosion propelled the Red Stockings to the pinnacle of the Eastern Division standings. Let us enjoy this lofty perch a while, gents! The Red Stockings’ once-mighty batting brigade now resembles a great clipper ship becalmed in the horse latitudes. There’s no vim to their swinging. No clout in their ash. No huzzahs and handshakes from cheerful team-mates welcoming a compatriot back from the full-circuit of the diamond. Accordingly, there are no “wins” in the recent box-scores, and this Rooter is getting restless! When the lone “run” achieved by the squad comes from the surprise swat of "Simple Jack" Lackey, it is apparent that there is a malaise among the Nine. Why, I’ve seen my grandfather direct Rummy Pete to put down cows with the Trembles who yet appeared more healthy than this lot of lulus! Gentlemen, please return to your fence-busting feats, and bring joy back to Rooters’ hearts! According to wire reports from the city's news-houses, Red Stockings helmsman Terrence "Terry" Francona spent much of the week-end huddled in the dug-out, wrapped in a rough burlap chemise. The body shaking and pursed lips of the inimitable Skipper must have led many to diagnose an acute case of the grip, or at least a mild ague. Alas, were it only an illness confined to the Fearless Leader of Heroes. The truth was more difficult to bear than a tumbler of castor oil after a Revere Beach roller coaster trip: The Red Stockings' ash sticks were as silent as the day they were hewn from the woods of Methuen. Altogether poor clouting from the gathered nine led to a four-match stretch of arid and unforgiving terrain. Fortunes be had, however. Sunday's match felt the hand of the Almighty tipping the scales in the Boston's favor. 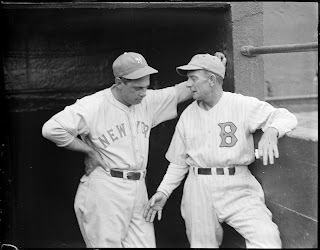 Those ne'er-do-well High Seas Marauders from the City of Pittsburgh committed a Pennsylvania's worth of follies, from pill-booting muffs to tender-handed boners amongst the fielding corps. That allowed plates from the Heroes from the Fens, despite their ash sticks still remaining as ineffective as a North End wastrel mounting a campaign against indecency and opium dens (imagine such a scenario! ).